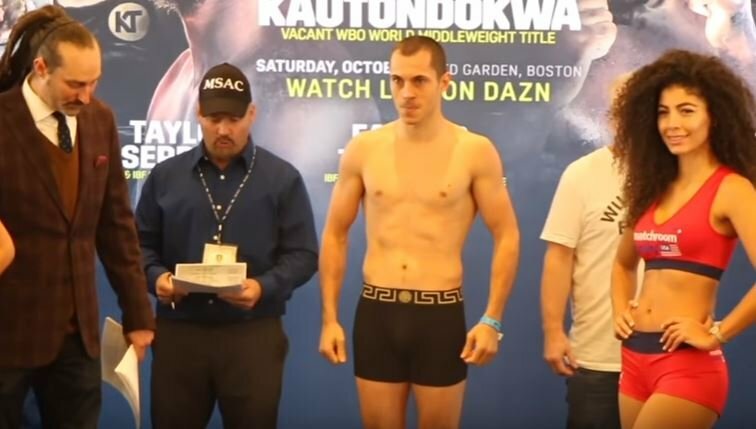 One man who’s seemed to go under the radar a bit this week in Boston is former world champion Scott Quigg. The Bury man and his Hall of Fame coach Freddie Roach won’t mind that in the slightest however. Quigg has been grafting away with Roach for quite some time now since parting company with renowned trainer Joe Gallagher and on the whole, he seems to have received a new lease of life from the link up with Roach. That said last time out he suffered defeat but it was only at the hands of the supremely gifted WBO featherweight champion Oscar Valdez. Before that however he was on an impressive three fight win streak. The unanimous decision defeat to Valdez happened back in March so he’s had time to regroup at this stage and work on what needs to be worked on. Always a constant professional, Quigg looked in supreme shape as per usual earlier on at weigh-ins. The question is for me, what is he looking to do in his career from here on out? Surely he’s still looking for a world title shot? The two biggest fights of his career so far against Carl Frampton and Valdez ended in defeat and remain the only defeats on his record (34-2-2-25KO). At 30 years of age and with the condition he keeps in year round and the relentless work ethic he has, there’s plenty of years left in Quigg at the top-level just yet. He fights Mario Broines this weekend at the TD Garden in Boston but he knows an impressive win could put him in line next year for a potential shot at the winner of Carl Frampton vs Josh Warrington taking place in December. Big fights are still out there for Quigg if he wants them, don’t write him off just yet.